Shockwaves echoed through the media and the arts community when the Delaware Art Museum chose to deaccession pieces from its collection and when the public learned that the Detroit Institute of Arts might be forced to do the same. Further concern arose when financial troubles compelled the Corcoran Gallery of Art to merge with the National Gallery of Art and George Washington University. An examination of the climate and legal battles surrounding these events shows how these institutions chose to cope with the financial adversity that put their collections at risk and illustrates the precarious position of works in a museum’s collection when that museum experiences financial distress. This article explores the ethical, judicial, and legislative frameworks currently governing deaccessioning and ultimately advocates for new legislative solutions to guide the deaccession process in order to provide the opportunity to maintain these works in the public sphere. In the dozen years I have edited the IJCP, I have chosen not to write editorials, as I have preferred to let the content of the journal speak for itself. As this issue was going to press, however, a series of events unfolded that I felt needed to be addressed. Over the past months, the self-proclaimed “Islamic State” (“IS”)—an armed militia with neo-medieval political aspirations in war-torn Syria and Iraq—has undertaken a direct assault on the archaeological remains of northern Mesopotamia, claiming that such art is idolatrous and thus forbidden in Islamic law. While looting of archaeological sites has been widespread and systematic in the region for at least the past two years, the destruction garnered international headlines in February and March 2015 when IS put sledgehammers to Assyrian statues and other artifacts in the museum of Mosul, then proceeded to bulldoze and ransack the spectacular sites of Nineveh, Nimrud, and Hatra, among others. 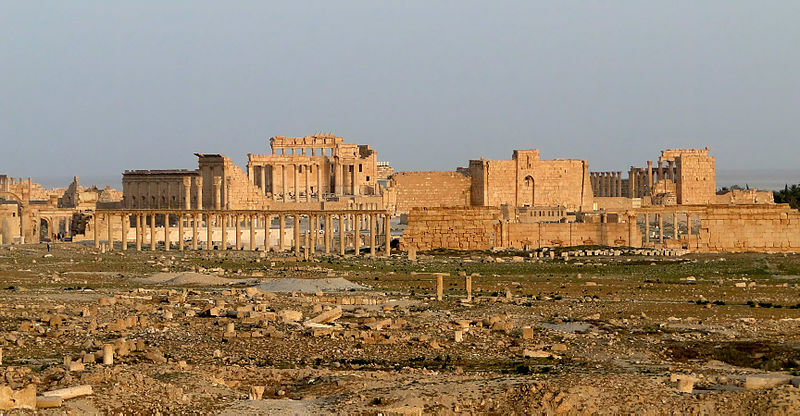 The wantonness and scale of these destructive acts have been shocking, and certainly for anyone concerned with the preservation of cultural heritage, a terrible tragedy. This almost immediately brings to mind parallels with the Taliban’s destruction of the Bamiyan Buddhas, whose destruction fueled a resurgence of arguments in favor of Western museums’ collection of antiquities in order to “save” them from a similar fate. Of course, the Bamiyan episode was not so straightforward, and in some ways, the efforts of Western organizations to intervene on the Buddhas’ behalf may have made matters worse. Arguably, the destruction in Iraq and Syria is even more widespread, insidious, and complicated. It is thus difficult to know how best to respond to it, and what the implications of any responses will be. In spite of the complexity of the situation, I want to address and critically confront three reactions that are likely to develop or be reinvigorated within current debate on how to respond to such destruction. It is my hope that we can use these terrible events to discuss new ways of approaching the issues of heritage acquisition and preservation rather than fall back into old and counterproductive positions. It’s an important statement, and one that the Journal has made publicly available free of charge. Alexander A. Bauer, Editorial: The Destruction of Heritage in Syria and Iraq and Its Implications, 22 Int’l J. of Cultural Prop. 1 (2015). This article applies the tools of legal semiotics to examine the terms, modalities, and conventions of legal argument in the cultural property context. In a first instance, the author re-enacts Duncan Kennedy’s study of recurrent patterns within legal argument to illustrate the highly structured nature of most cultural property argument. This mapping exercise shows how legal concepts draw their meaning in part from their place within a broader linguistic system, and as a result cannot by themselves form an adequate basis for ethical positions. Following this, the pervasive Elgin Marbles controversy is shown to resemble a myth (in Roland Barthes’s sense of the term) behind which a series of value judgments and support systems are embedded into cultural property argument. The conclusion presents a number of observations sketching a framework centered on restitution as a starting point for resolution of cultural property disputes. There are then responses from some of the best cultural property writers around, including Patty Gerstenblith, Daniel Shapiro, Yannis Hamilakis and perhaps the best response was from Barton Beebe. In a final rejoinder Audi engages in an entertaining, if perhaps unhelpful scholarly kerfluffle with Prof. Gerstenblith’s critiques. I’m a newcomer to the field of semiotics. If I understand Audi’s arguments correctly, he believes many cultural property scholars have unwittingly used canned responses to a number of the same recurring debates. This dialectic does not promote a better legal framework and renders many arguments stagnant. I think this may be exactly right in some cases. The problem is Audi does not define what he means by a cultural property debate. It seems he is speaking in the main about restitutions of objects such as the Elgin Marbles. Some of his more general arguments about the law are perhaps diminished by his failure to discuss the current state of the law, as Prof. Gerstenblith rightly points out. I think he is exactly right about the arguments being made about these kinds of objects, but there is settled law for other classes of objects; for example for newly and illicitly excavated antiquities. For these objects there is not a problem of discourse, but rather a problem with implementing the law because the market effectively evades regulation. If pieces of visual arts were treated like other commodities traded in international commerce, we would have to talk about letters of credit, charter parties, import and export regulations, embargoes, dumping, most-favoured-nation clauses, GATT and arbitration. It is interesting to observe that none of these terms are in fact used in the field of international art trade, except for … import and export restrictions. There are gaps in the regulation, and strong conflicts in the ongoing debate. Audi I think does show how many legal arguments can be classified as maxims and countermaxims. However good legal analysis should get to the root of that tension, and show the policy at play on both sides, and effectively evaluate the state of the law. Unfortunately he doesn’t incorporate enough of the cultural policy-making scholarship into his analysis on “cultural property debates” as he calls it; which he seems to only believe can encompass the intractable dilemmas posed when the law has nothing to say for claimants in situations like the Parthenon marbles.